MALIBU, Calif. -- Barbie's Malibu Dream House is coming true. client because she's always happy and fun and loves everything. I thought to myself, 'How would Barbie live?' What I thought was Barbie would have a house that is glamorous, kittenish, chic, colorful and happy -- as well as functional." Barbie dolls on display. In the garage? A pink Volkswagen New Beetle with a motorized pop-up vanity in the trunk. birthday, was a dream for Adler, the potter and decorator who has served as head judge on Bravo's "Top Design." He said Mattel gave him access to the company's archives, including a look at all of Barbie's various dream homes over the years. special pink-tinted Barbie Suite that will be available for bachelorette parties, birthdays or anyone who wants live like Barbie. Other items will be available from the "Jonathan Adler Loves Barbie" collection launching in September. Adler's favorite furnishings are hanging in the living room: an original Andy Warhol portrait of Barbie valued at over $200,000 and a chandelier -- designed by "Project Runway" contestant Chris March -- that's made up of over 30 blond wigs and took more than 60 hours to craft. Adler also admires a one-of-a-kind black-and-white wall mirror created with 64 dolls. 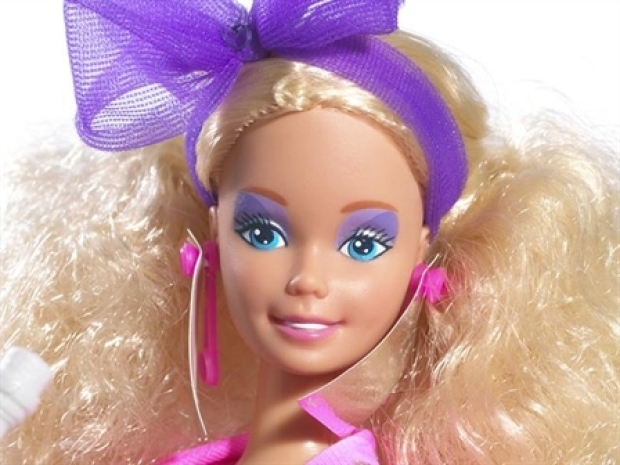 Barbara Millicent Roberts (better known as Barbie) turns 50 on March 9th. 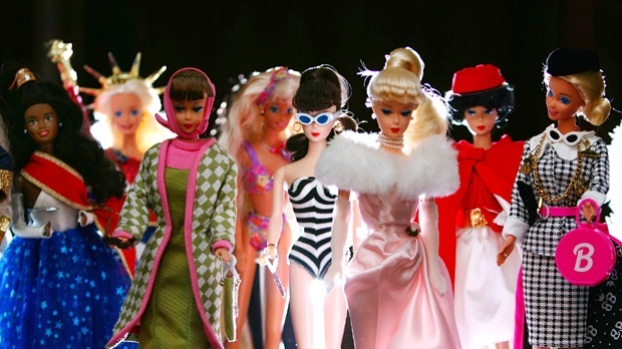 Since Mattel released her, generations have played with and collected the iconic and controversial doll.